In demand flautist Emma Halnan first came to prominence as the woodwind category winner of BBC Young Musician 2010. In the grand final, she broadcast Reinecke’s flute concerto with the BBC National Orchestra of Wales live on BBC television and radio. Since then, she has gone on to perform at many of the major UK venues including Wigmore Hall, Cadogan Hall and St John’s Smith Square. She has performed live on BBC Radio 3’s “In Tune” on multiple occasions, as well as being broadcast on BBC Radio 2’s “Friday Night is Music Night” as soloist with the BBC Concert Orchestra. Emma has also appeared as concerto soloist with orchestras such as the European Union Chamber Orchestra and the Welsh Sinfonia. Her 2018 diary included two performances of Mozart’s Flute and Harp Concerto with the London Mozart Players and royal harpist Anne Denholm. Emma won Sir Karl Jenkins/Arts Club Classical Music Award 2016, in association with Classic FM. As a result, she recorded and broadcast on Classic FM a piece specially composed for her by Sir Karl Jenkins. 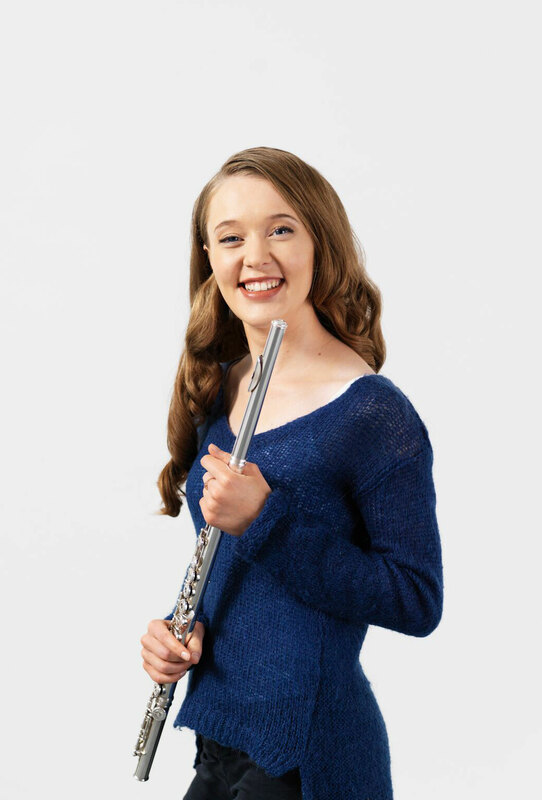 Emma also recently won the Sussex Prize for Woodwind in the Royal Overseas League Competition 2019, and has been selected as a “Making Music” Philip & Dorothy Green Young Artist 2018-20. Emma was principal flute of the European Union Youth Orchestra 2014-16. She has also performed as guest principal of the BBC Scottish Symphony Orchestra, and guest principal piccolo of English National Opera. Emma also plays historical flutes, freelancing with ensembles such as the Orchestra of the Age of Enlightenment and Music For Awhile. She has toured twice with the European Union Baroque Orchestra. In recital, Emma has worked with pianist Daniel King Smith since 2008. Together, they have performed at venues including St. David’s Hall (Cardiff), Gower Festival, St. Martin-in-the-Fields, Benslow Music Trust, Bath International Music Festival and the “La Côte” International Flute Festival 2016 (Switzerland). Emma also works regularly with harpist Heather Wrighton and violist Jordan Sian (the Aurora Trio); they have appeared at venues including Wigmore Hall, St. James’s Piccadilly and Norfolk & Norwich Festival. They held a prestigious Chamber Music Fellowship at the Royal Academy of Music for 2014-16, and also work together as Live Music Now artists. Emma is also a highly reputed and very dedicated teacher, her pupils having gained places in the National Children’s Orchestra, National Children’s Wind Orchestra and at various conservatoires (both junior and senior departments). Emma’s students include many Cambridge University music students. She has given numerous masterclasses, most recently at Trinity Laban Conservatoire, where she also adjudicated the Final of the 2018 Woodwind Competition. Emma studied at the Royal Academy of Music with William Bennett and Kate Hill, and previously with Anna Pope at the Purcell School of Music, where she won the 2010 Fenton Leavers’ Award. She later studied privately with Robert Winn. Emma has been generously supported by the Hattori Foundation and the Martin Musical Scholarship Fund. She also won the 2014 Kenneth Loveland Gift, and is a City Music Foundation Artist. Emma holds both British and Irish passports.